We’ve all been there, trying to push a buggy, hold an umbrella and even juggle a coffee at the same time. It’s safe to say, it’s not a great look. 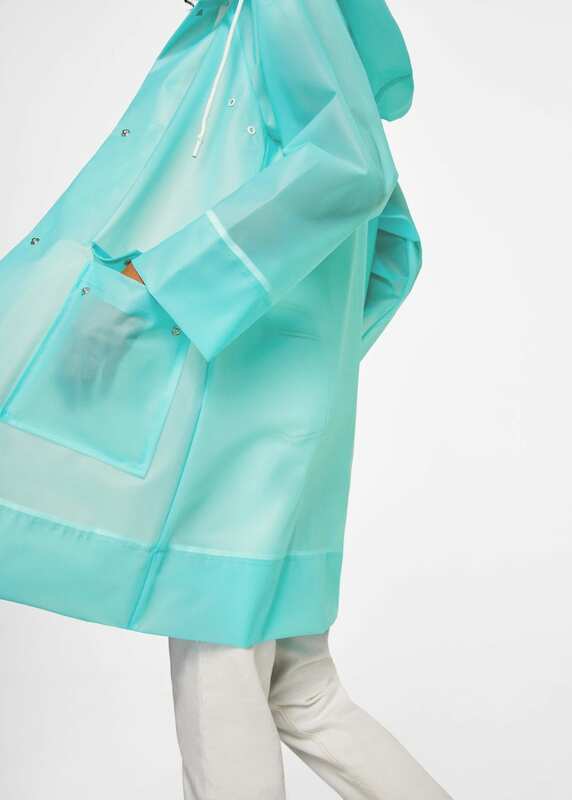 From the moment your little one arrives, you’re chief chauffeur in getting them from A to B and when the weather isn’t on your side, a decent raincoat is a must in keeping you looking fashionable rather than frazzled. 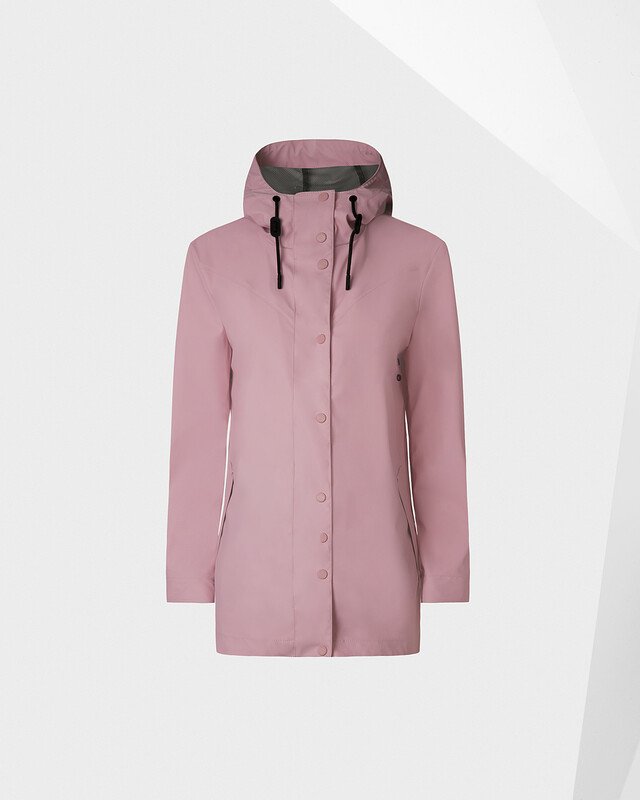 Raincoats, parkas, macs, anoraks (!) whatever you want to call them, they’re the one thing I get asked time and time again by fellow Mums, where’s the best place to buy a stylish one from. 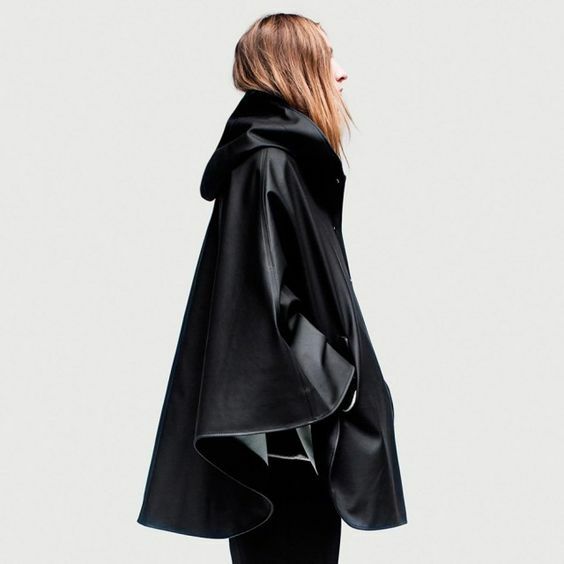 For a long time raincoats were far more practical than pretty, but right now raincoats are rad! 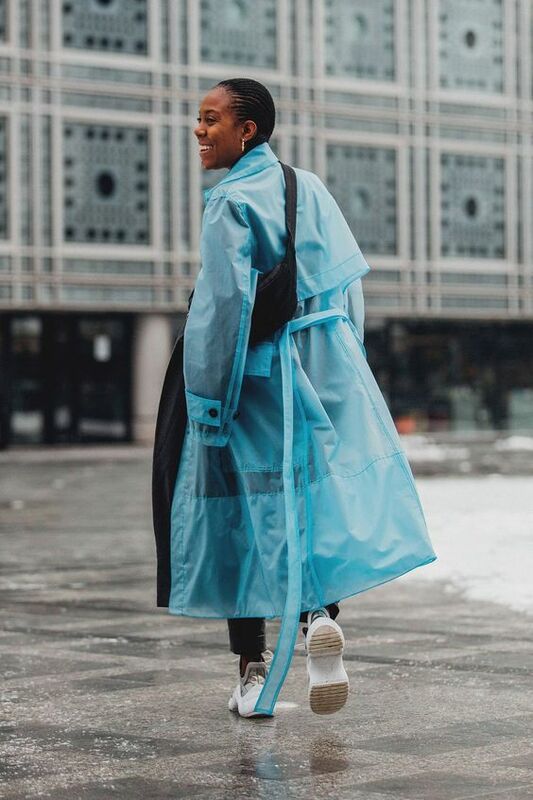 And as your coat is usually the first thing people notice about your outfit, you want it to be right. 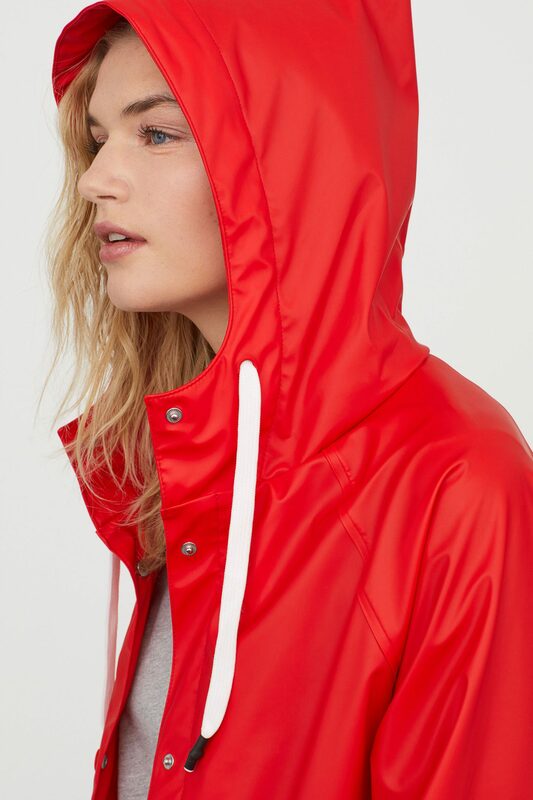 After years of wearing my trusty Whistles leather jacket everywhere, I decided to buy a raincoat that I can throw on over any outfit and keep me handsfree for pram pushing and toddler wrangling. 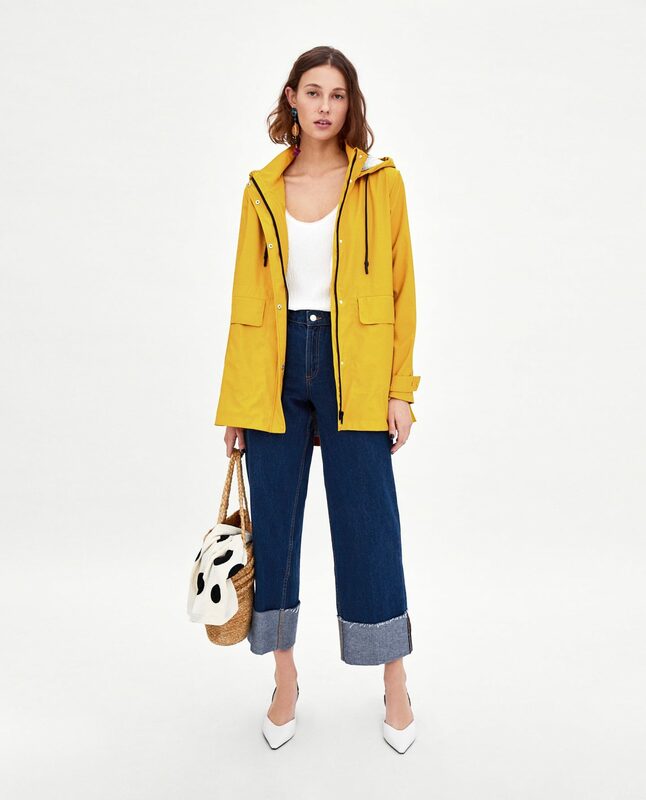 I opted for this one from H&M which has been ideal, it’s lightweight, packs down small for chucking in the changing bag and is a cool oversized fit. And if you’re expecting, then this one is a great buy. 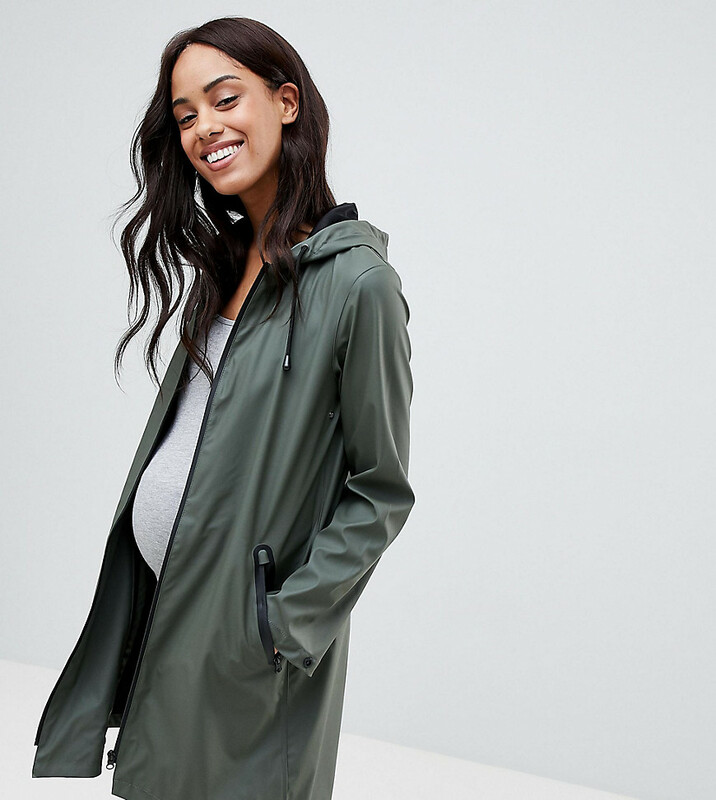 This clever 2-in-1 coat comes with an extra panel to zip on to fit over your bump so it’ll fit during pregnancy and afterwards as a normal jacket.